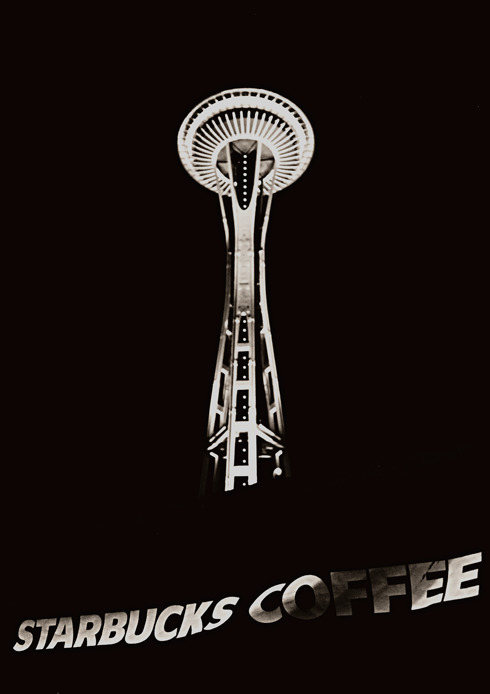 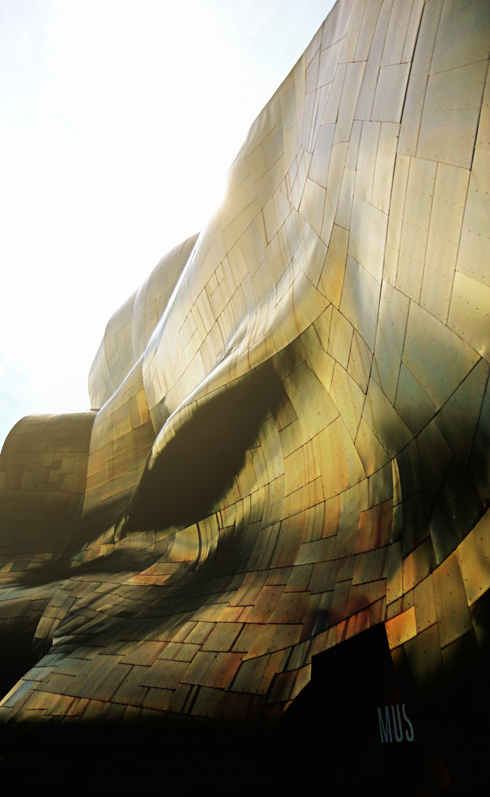 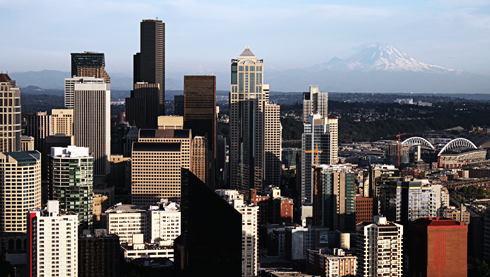 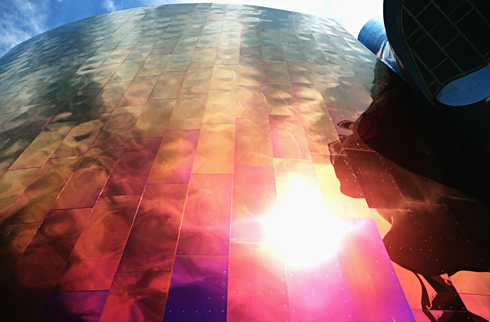 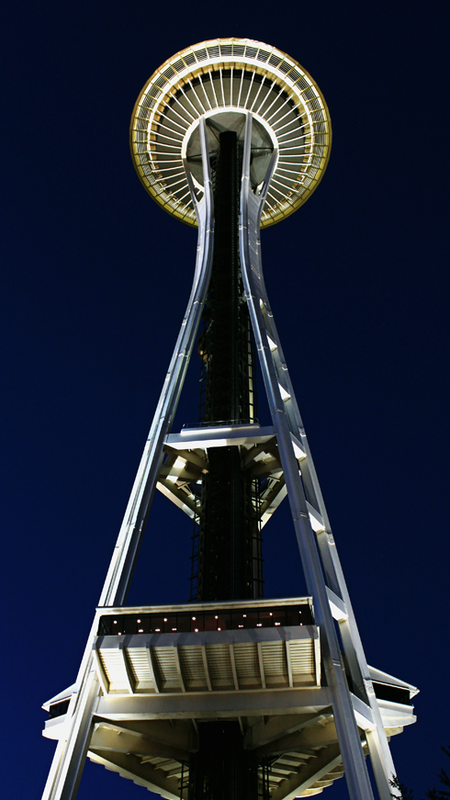 Seattle's Space Needle is a symbol of the city, and arguably the most iconic landmark in the Pacific Northwest. 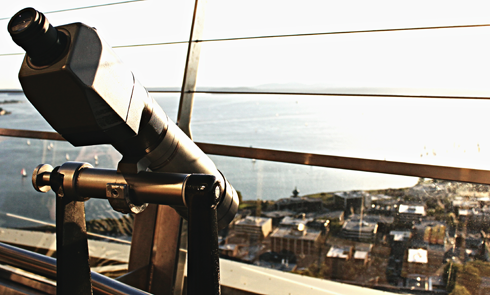 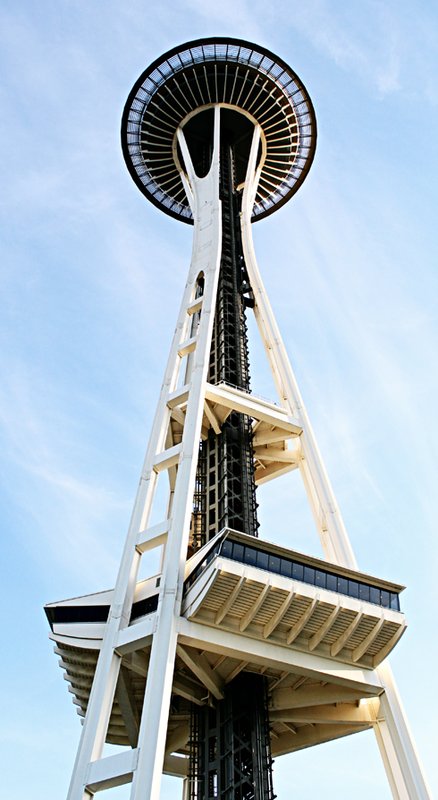 Naturally, seeing the Space Needle up close was a memorable experience, whether you're standing directly below it or enjoying the view from above. 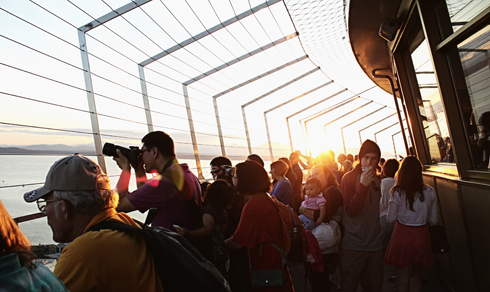 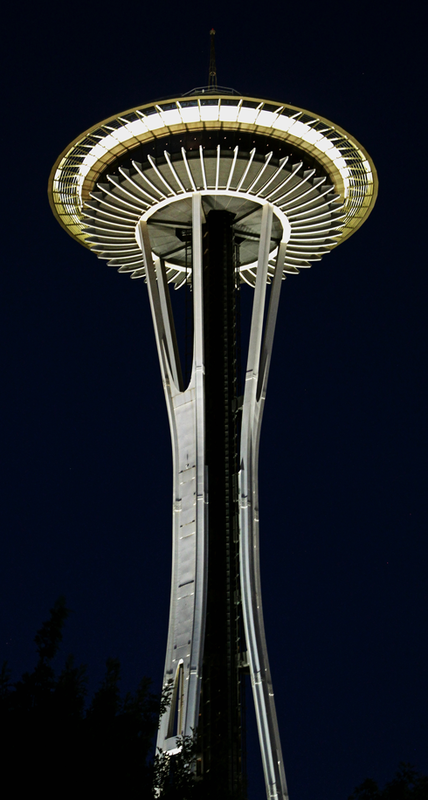 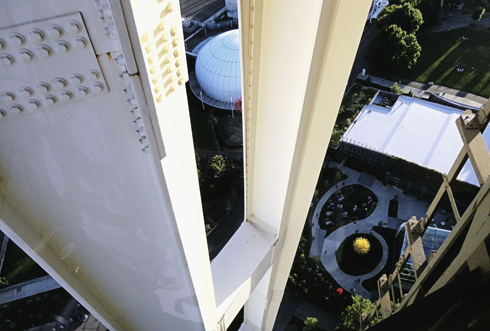 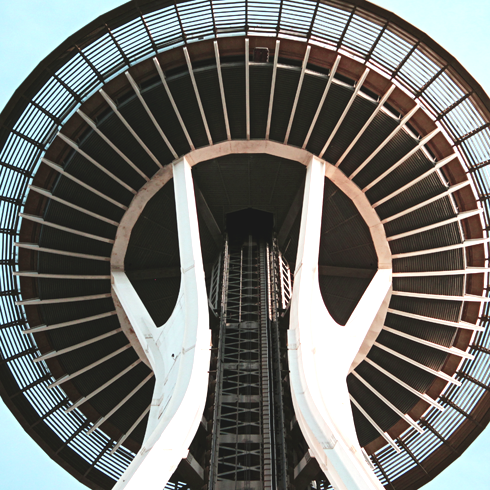 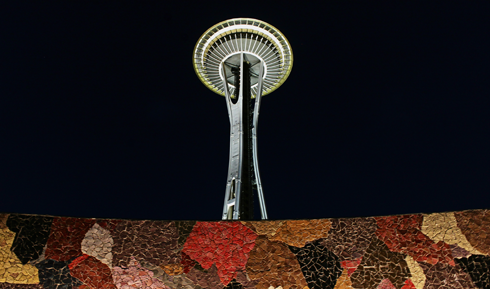 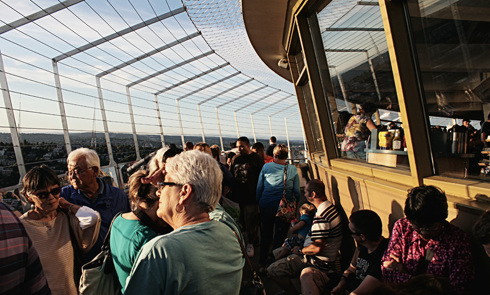 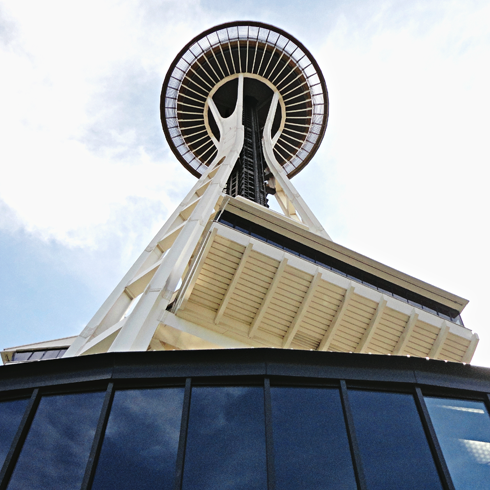 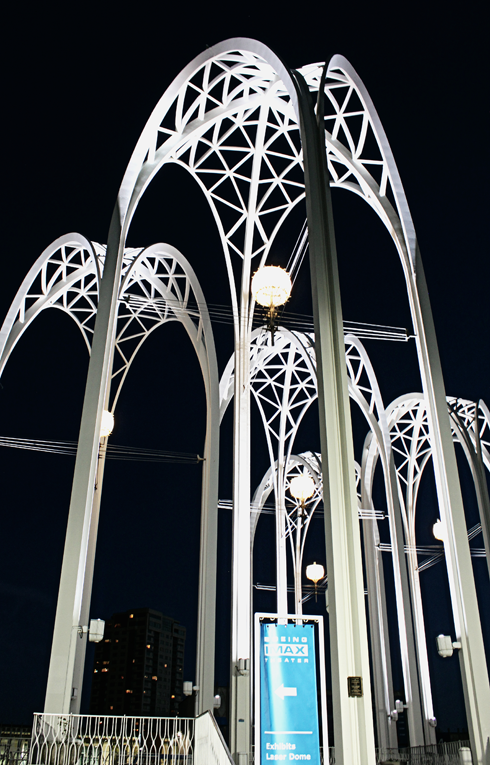 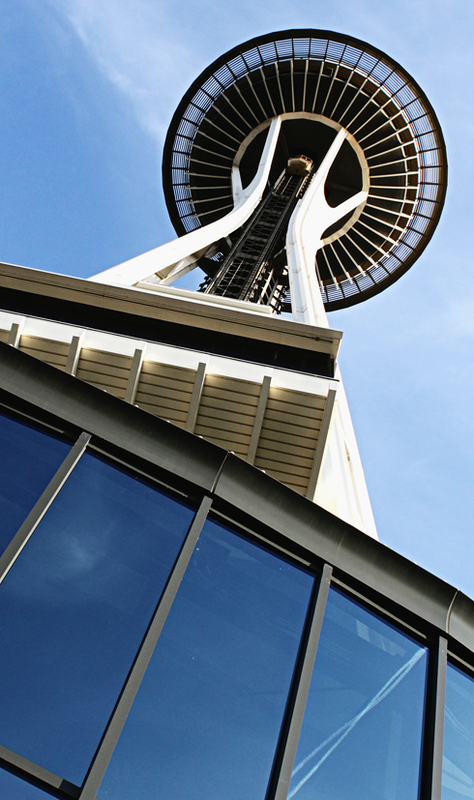 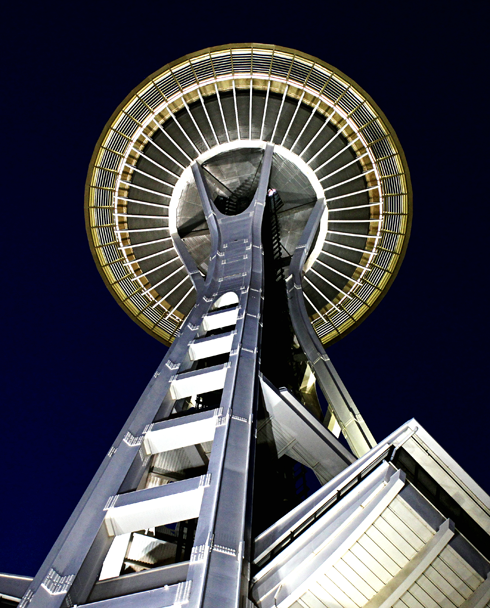 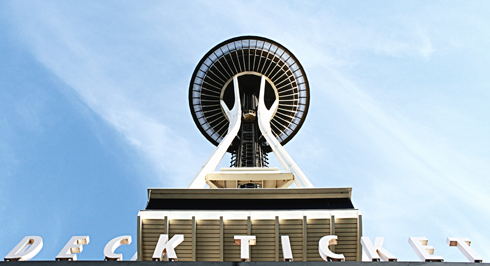 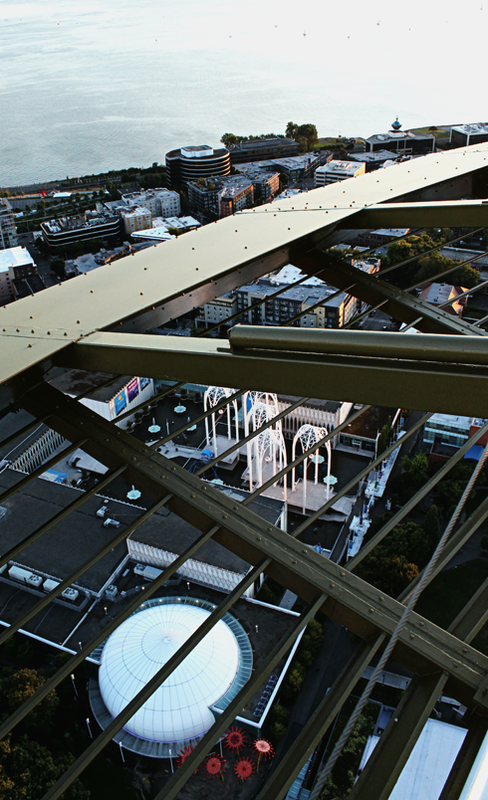 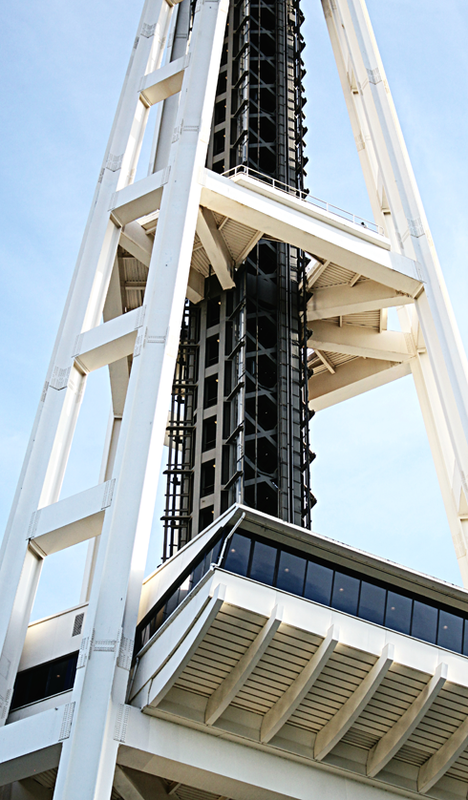 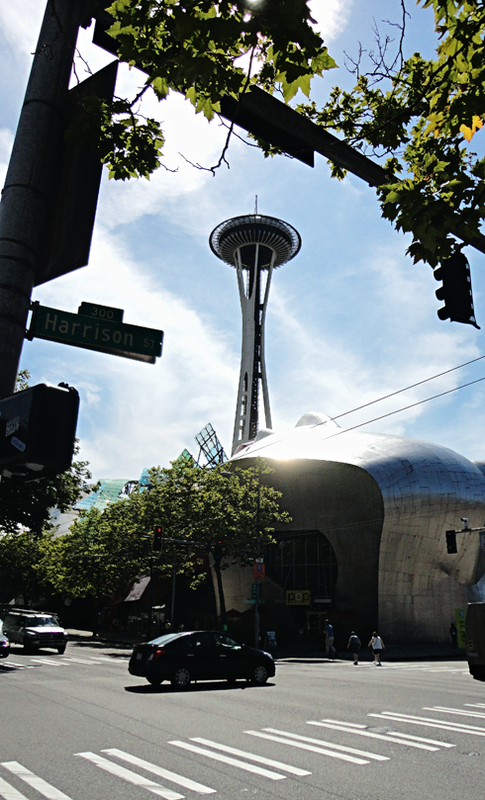 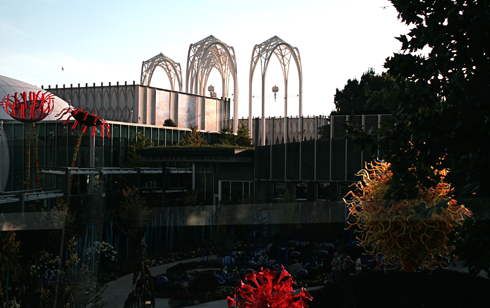 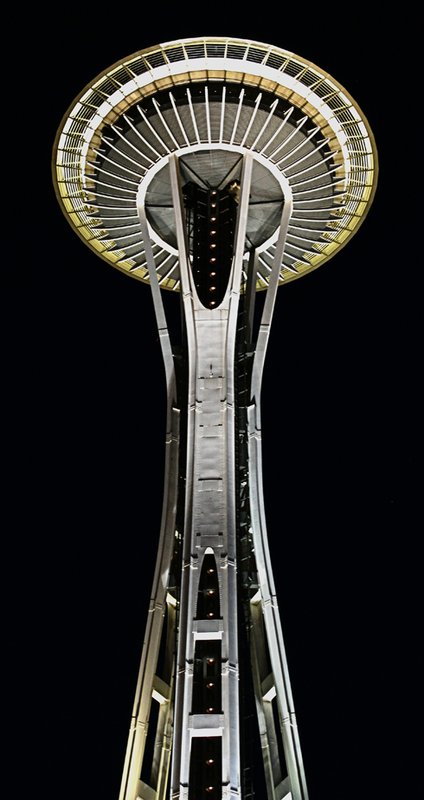 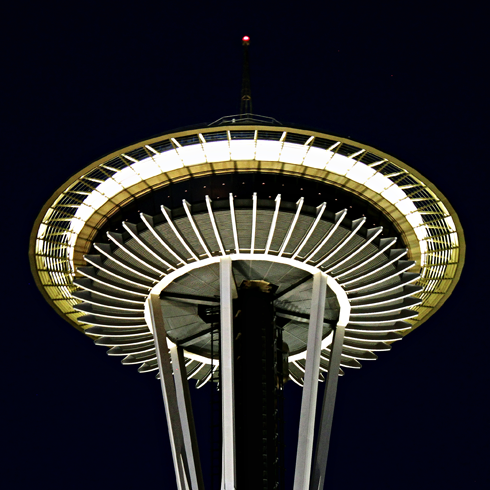 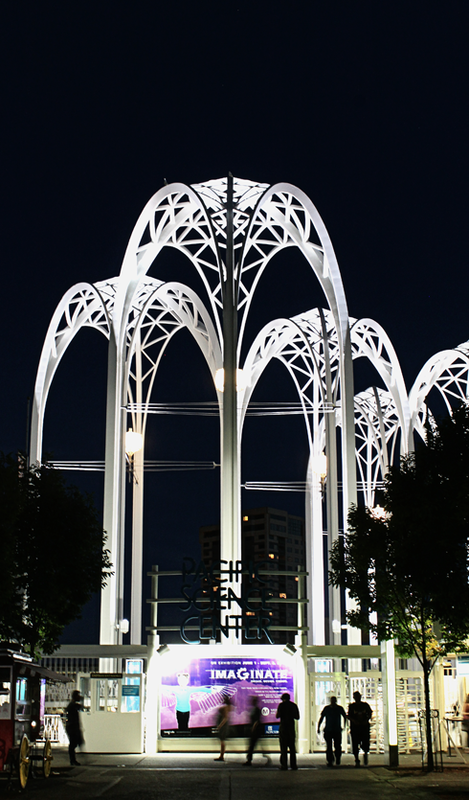 Constructed for the World's Fair in 1962, the Space Needle is 605 ft. tall and boasts over a million visitors a year. 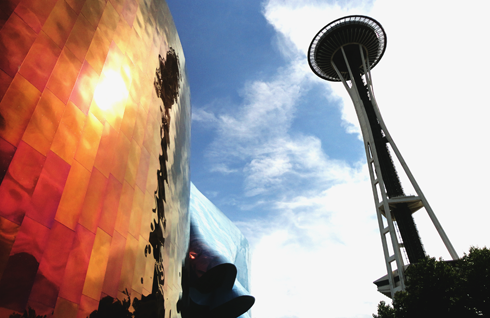 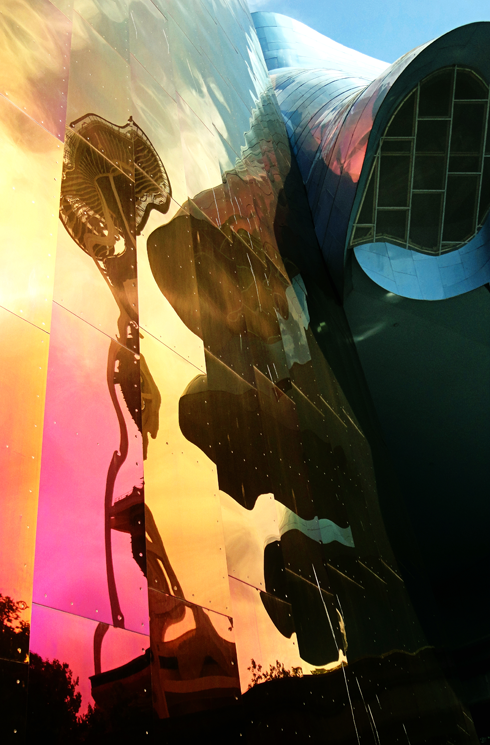 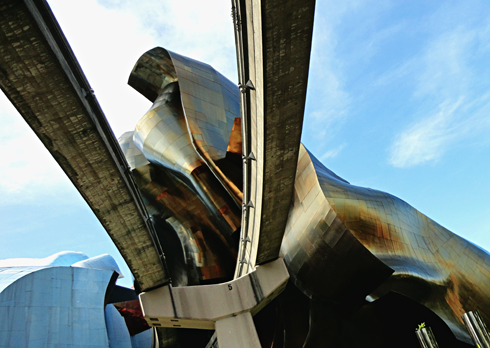 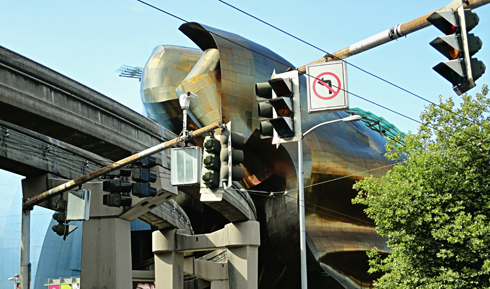 We spent the day touring Seattle Center, which also included the EMP Museum (now MoPOP), before finally making our way up to the Space Needle's observation deck.